I am sorry I missed Art Walk June 2015 as I was out-of-town. My 95 year old mother fell and fractured her hip in Austin so I left Wednesday the day before Art Walk and did not get back to San Angelo until 5:00pm Sunday June 21. If you came by please plan on seeing my new items next month at Art Walk in July 2015. I will have new small print portfolios leather edition and each portfolio includes a handcrafted leather envelope containing small original photographic prints in a limited edition. I will make only one of each small print portfolios leather edition by never using the same print set inside except once. Each new small print portfolio leather edition will be priced at a large savings over individual print prices. I do not offer my small 4×6 prints one at a time or individually therefore these new small print portfolios leather edition offer a unique opportunity. I have been collecting the fine handcrafted leather envelopes for over 2 years and I am now ready to have a few available next month. 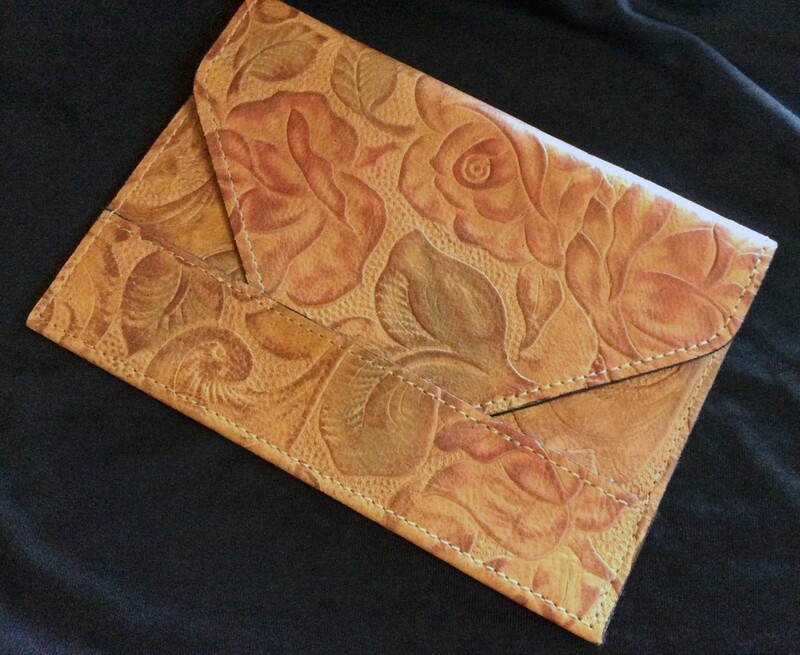 As of now I only have one each of the leather envelopes to make a small print portfolio leather edition therefore all are subject to prior sale. 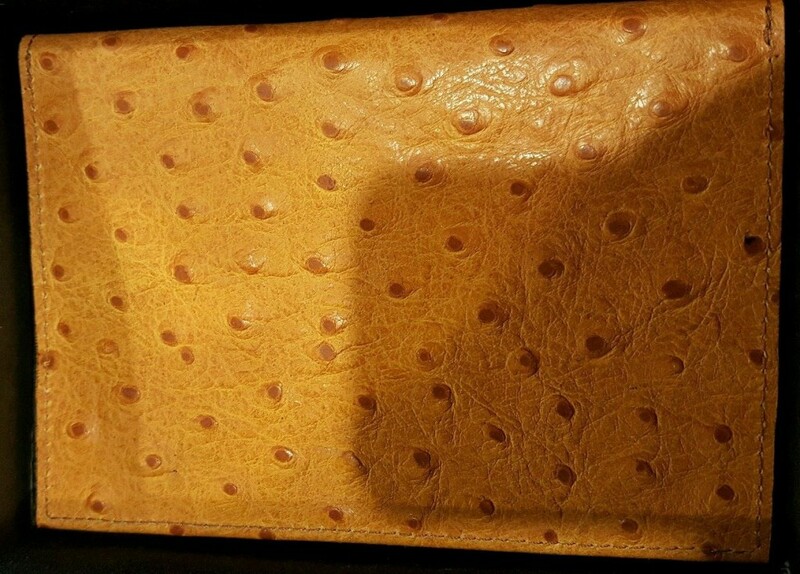 All the leather envelopes are genuine cow or calf leather. I look forward to seeing you next month at the July Art Walk in San Angelo, Texas (7-16-15). The May Art Walk was a success as I sold over half a dozen items. Thank you to all who made purchases. I hope the artwork adds to your enjoyment and hopefully your life. Again thank you! I look forward to seeing more people next month at the June Art Walk (6-18-15). I will have new 4×6 inch original photographic prints for sale. I may also have some 5×7 inch original photographic prints for sale if I can get them ready in time. 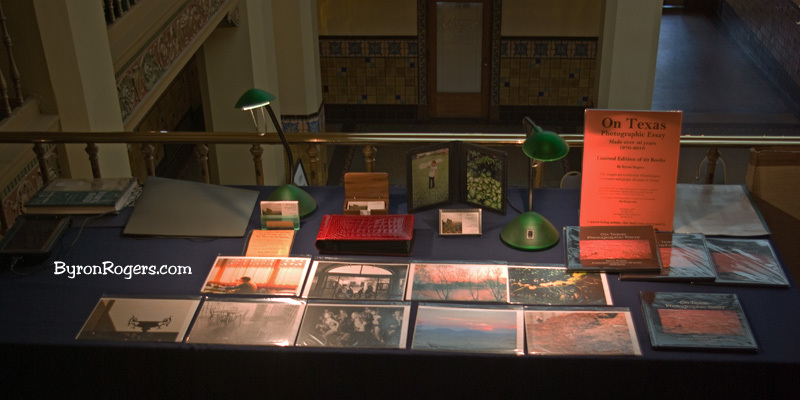 The 4×6 inch original photographic prints are laser prints made on Fujicolor Crystal Archive photographic paper. The digital printer used is designed to expose the paper using red, green and blue lasers to produce the sharpest prints possible. The exposed photographic paper also goes through a silver halide chemical process, the same way as in traditional photo labs. This is a fine combination of the past wet process and the newest digital technology today. The prints are very high quality and I think you will like them and this process helps keep the prices lower on my small prints. Come see the new group 6×8 inch large cards from On Texas collection for sale for the first time. The postcards are on thick quality card-stock and look great. Each postcard includes a large white envelope ready to mail in the USA for just one normal First Class stamp. The postcards can be framed or mailed your choice. The quality is high enough for framing to enjoy. The new post cards and photo cards are made using digital off-set presses to print on archival-quality paper which is acid-free to ensure your pictures will look great for years to come. 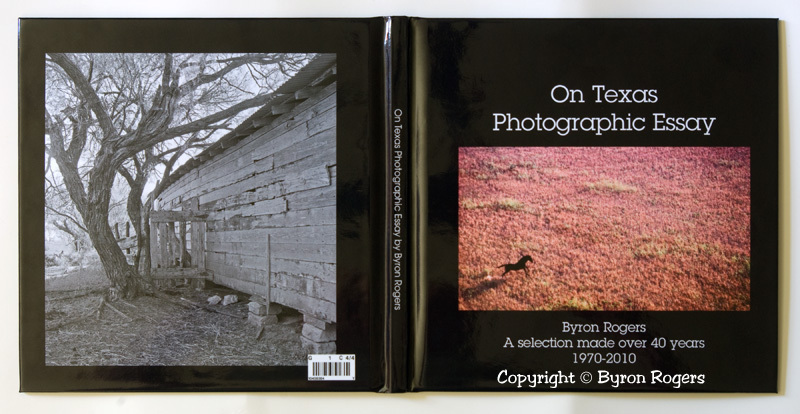 I will have the remaining volumes for sale Thursday May 21 at the Cactus Hotel downtown San Angelo from 5PM to 9PM. The On Texas website is one year old this month making this May the One Year Anniversary. The first post was made on May 2, 2014. Back in March 2014 I started converting the original film images to digital images. By April 2014 I had several ready to add to a website and the On-Texas.com™ website went live with several images sometime late April or early May 2014. By May 18, 2014 I was working on the second page of images in the Gallery on the website. By June 7, 2014 there were 48 images in the three Gallery pages. With the completion of Gallery 1, Gallery 2 and Gallery 3 the website was full with a select group from the total that make up the On Texas Photographic Essay. 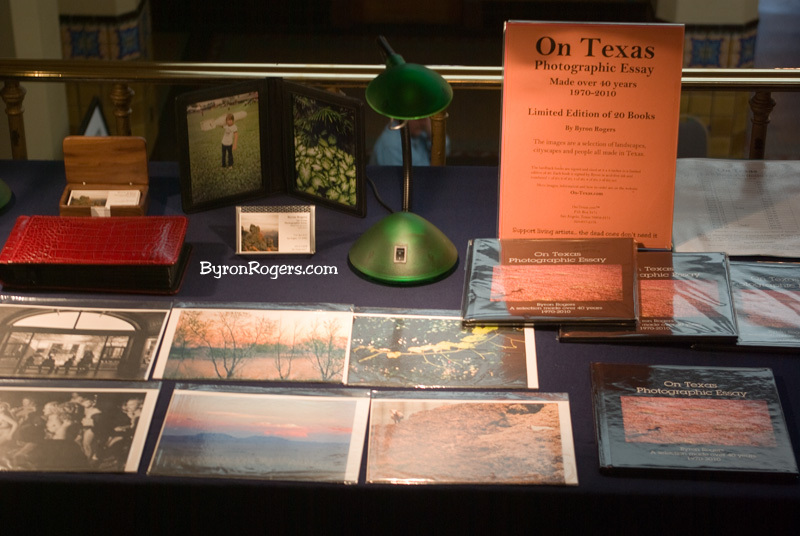 By November 20, 2014 I was showing and signing the new book On Texas Photographic Essay – A Selection made over 40 years – 1970-2010. By February 2, 2015 a new On Texas Collage Poster at 16×20 inches was made and will be used at shows and exhibits to help people learn about the new limited edition of 20 books. 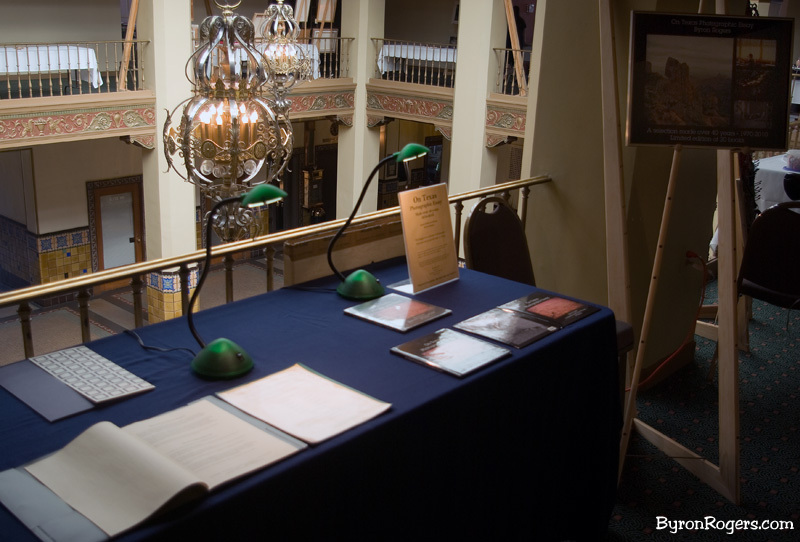 I will continue setting up at the Cactus Hotel mezzanine level downtown San Angelo on third Thursday’s for the monthly Art Walk in San Angelo until all the books are sold. At the Art Walk in San Angelo I will have original framed prints ready to hang on your wall soon. I look forward to seeing you there. The Cactus Hotel usually has white and red wine for your free enjoyment along with free homemade cookies and cupcakes. They also usually have live music with chairs down in the lobby. If you want to make sure I will be there call me and I will be glad to let you know my schedule. The domain name On-Texas.com™ was registered on June 15, 2011.